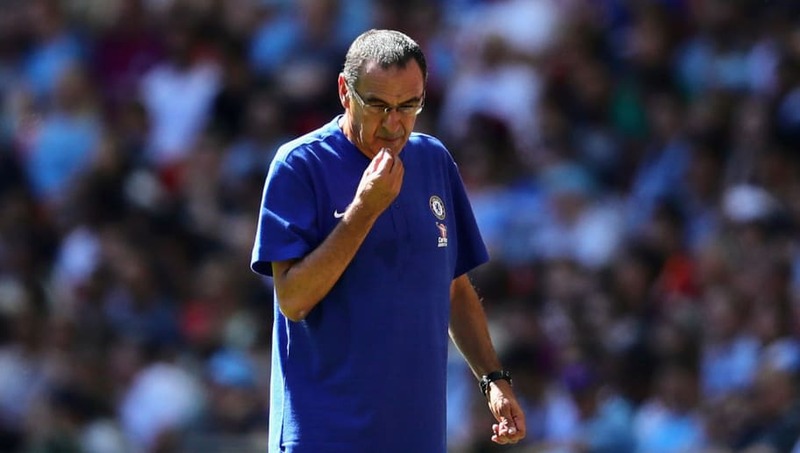 New Chelsea boss Maurizio Sarri has said that he's very happy with the squad under his command at the moment. The Italian, who replaced compatriot Antonio Conte at Stamford Bridge this summer, will oversee his first ​Premier League match as Blues manager in an away fixture against Huddersfield Town on Saturday afternoon and has declared that he has a 'complete' squad at his disposal. Sarri had plenty to touch on, with two new signings having come in this week. The Blues completed deals for Kepa Arrizabalaga and Mateo Kovacic on Friday, the latter on a season-long loan deal. Thibaut Courtois has also officially joined Real Madrid, before even meeting with the club's new boss. "The Courtois situation was clear. He wanted to go to Madrid. We lost maybe one of the best goalkeepers in the world now, but we bought a young goalkeeper, one of the best young goalkeepers in Europe, so I am really happy," he told reporters, via chelseafc.com. "Kepa is very young, he is 23. I hope he can improve very fast. "I am very happy to get Kovacic. He has the characteristics for us. He is a very technical player. He is able to play between the lines of the opponent. For us that could be very important. Now I think the squad is complete." "I don’t know," he replied after being asked if Kepa will make his debut this weekend. "He is in the players’ list for tomorrow, but I have to decide." The manager was also quizzed over the situation with Eden Hazard, who has been heavily linked with a move to ​Real as well. "Hazard is with us, definitely. It’s not a problem. I have spoken with him three or four times about everything, and he has never said anything about the market, so I think he is very happy to stay here," he declared. "I don’t want to discuss contracts. It’s not my job. My job is on the pitch, my job is to improve the players, my job is to try to win matches, and not sign new contracts, but I have seen a player very happy to stay here, so it will be no problem, the new contract." As for who his captain will be for the season, Sarri said he still does not know. But Cesar Azpilicueta will be wearing the armband against ​Huddersfield on Saturday. "Tomorrow I think Cesar Azpilicueta, but it’s not the final decision," Sarri explained. "I want to know well the players, I want to know well the man, and then when my idea will be clear, I will make a final decision."